Wait, those early RoboCop set pics were actually leaked by the studio? 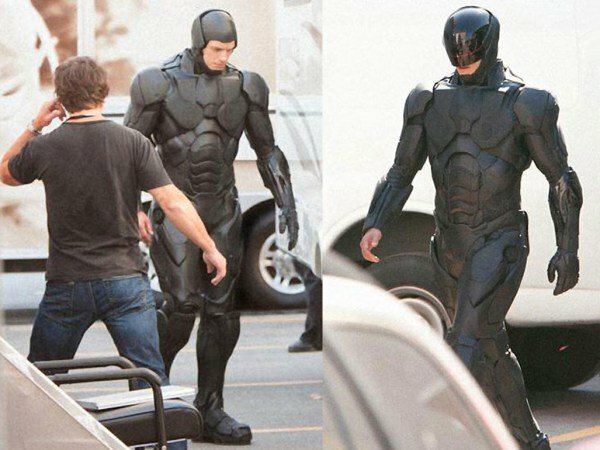 Remember way back in 2012, when we got our first unofficial look at the new RoboCop suit thanks to some leaked set pics? Well, turns out we all got played. Gary Oldman, who co-stars in the reboot, revealed in an interview with Yahoo! that those set pics that had fans sharpening their pitchforks were actually staged and “leaked” by the studio, in an effort to prevent some even-less-flattering unofficial pics from potentially trickling out to the masses. Looking back, it makes sense. The composition and design definitely matched what we finally got to see in official pics and trailers, and you can’t blame the studio for trying to alleviate some of the shock by offering up a little sneak peek for fans before officially dropping that radical redesign. As for how successful the approach was, that's up for debate. It’s not much of a surprise to hear the studio leaked the pics, but it is a fascinating peek into the psyche of marketing execs and what it takes to “sell” a movie — especially one based on a sci-fi classic. How much do you show? When do you show it? How do you show it? Are you surprised to hear it was all a ruse?